Rajya Sabha has passed a Bill decriminalising attempt to suicide, and giving individuals with mental illnesses new rights that include access to health care and insurance. The Mental Health Care Bill, 2013 was passed by Rajya Sabha on Monday, and is expected to be discussed in Lok Sabha soon. The Bill seeks to replace the Mental Health Act, 1987. In 2007, India ratified the United Nations Convention on the Rights of Persons with Disabilities, which requires signatory countries to change their laws to give effect to the rights of persons with mental illness. It was believed that the 1987 Act did not adequately protect these rights, and a need was felt to provide them with better treatment and improve their access to health services. So, what kinds of mental illness are covered under the Bill? Mental illness was earlier defined as any mental disorder other than mental retardation. The Bill passed by Rajya Sabha defines mental illness to mean a disorder of thinking, mood, perception, orientation or memory. Such a disorder impairs a person’s behaviour, judgement, capacity to recognise reality or ability to meet ordinary demands of life. This definition also includes mental conditions associated with substance abuse, and does not include mental retardation. 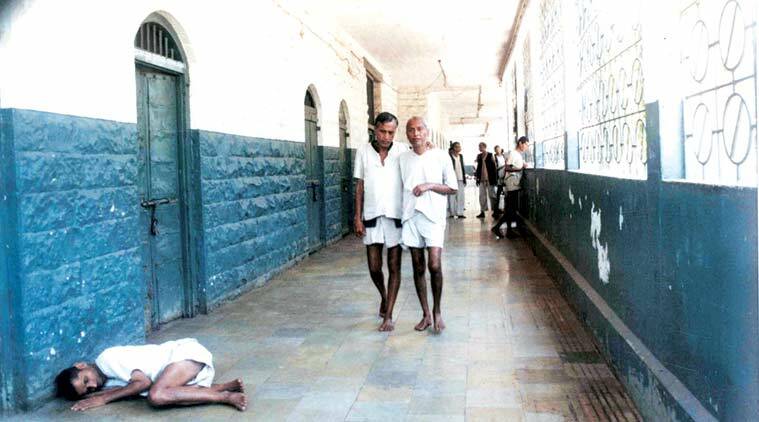 What is the population of the mentally ill in India? There are no official estimates currently. In 2005, it was estimated that 6-7% of the population suffered from mental disorders, and about 1-2% suffered from severe mental disorders such as schizophrenia and bipolar disorder. Nearly 5% of the population suffered from common mental disorders such as depression and anxiety. However, real numbers could be higher, as mental illness often goes underreported due to the associated stigma. The World Health Organisation has recently estimated that 1 in 4 persons will be affected by some form of mental illness once in their lifetime. And what are key rights being guaranteed under the Bill? Manner of treatment: The Bill states that every person would have the right to specify how he would like to be treated for mental illness in the event of a mental health situation. An individual will also specify who will be the person responsible for taking decisions with regard to the treatment, his admission into a hospital, etc. Access to public health care: The Bill guarantees every person the right to access mental health care and treatment from the government. This right includes affordable, good quality, easy access to services such as minimum mental health services in every district. Persons with mental illness also have the right to equality of treatment and protection from inhuman and degrading treatment. Suicide decriminalised: Currently, attempting suicide is punishable with imprisonment for up to a year and/or a fine. The Bill decriminalises suicide. It states that whoever attempts suicide will be presumed to be under severe stress, and shall not punished for it. Insurance: The Bill requires that every insurance company shall provide medical insurance for mentally ill persons on the same basis as is available for physical illnesses. And are there any implementation challenges? The Bill mandates the central and state governments to ensure access to mental health services in every district. These will include outpatient and inpatient services, hospitals, and community-based rehabilitation establishments. However, the financial memorandum of the Bill does not estimate the expenditure required to meet the obligations under the Bill nor does it provide details of the sharing of expenses between the central and state governments. Without the allocation of adequate funds, the implementation of the Bill could be affected. The Standing Committee examining the Bill had noted that public health is a state subject. Since several states face financial constraints, the central government might have to step in to ensure funds for the implementation of the law. What about guardianship provisions for mentally ill persons? The Bill as passed by Rajya Sabha does not address issues related to guardianship of mentally ill persons. The 1987 Act has detailed provisions related to appointment and removal of a guardian, and his powers and duties. The provisions related to guardianship of mentally ill persons are in the Rights of Persons with Disabilities (RPD) Bill, 2014, which is pending in Parliament. If the Bill is passed by Parliament in its current form, there will be a legal vacuum with regard to provisions of guardianship of mentally ill persons. What happens when the provisions of the planned law are violated? The Bill does not prescribe specific penalties for non-compliance with several of its provisions. A general punishment of imprisonment up to 6 months or a penalty of up to Rs 10,000, or both, is provided. The absence of specific penal provisions might create ambiguities with regard to the implementation of the Bill. What was the scrutiny that the Bill received in Parliament? The Bill was examined by a Parliamentary Standing Committee, which made a number of recommendations. Rajya Sabha debated the Bill for approximately 4 hours, and 17 MPs participated in the debate. In a 136-clause Bill, the government moved 134 amendments, giving MPs almost no time to reconcile the amendments with the recommendations of the Standing Committee. The Bill will now be debated in Lok Sabha before it is passed.